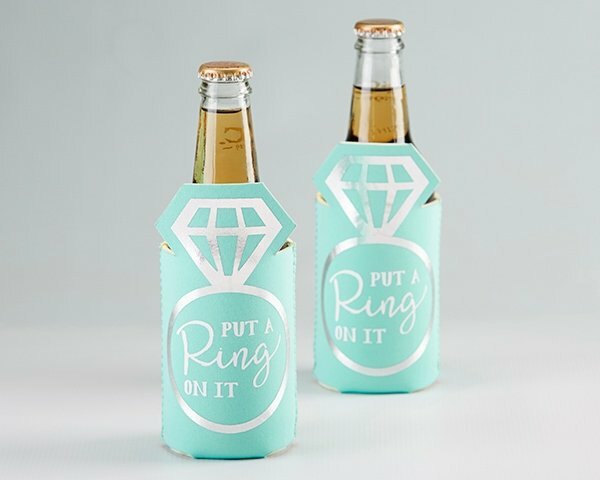 Blue collapsible insulated drink sleeve. 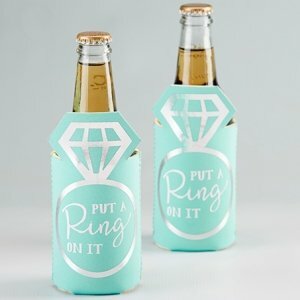 Silver foil diamond design surrounds white text that reads "Put a ring on it". NOTE: Closeout item. Minimum of 4 sets required for purchase.